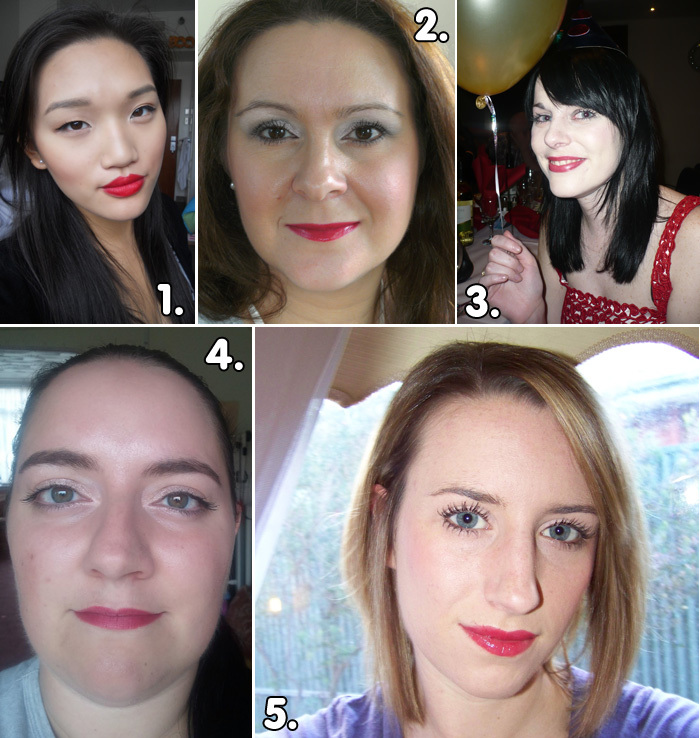 Red Lipped Readers – Part 11! 1. Victoria from Victoria’s Makeup Secrets smoulders in Wet n Wild’s Stoplight Red. 3. Lovely Lauren from A Lauren to Herself is clearly celebrating how great her lips look in Avon’s Charged Cherry! 4. Kelly from MusingsofaSlightlyMadMother is letting her lips do the talking with L’Oreal’s Made for Me Colour Riche in Cassis Passion. if you’re still waiting to see your submitted red lip go live, I’m getting there! Love these red-lipped readers! They have been fantastic for thinking about what colours/textures go with what skin-tones, and really helped me when purchasing my latest red. Thank you Charlotte, and all the contributers.